Mrs Anna Rosa Aonzo Grillo, daughter of the Golden Medal for Military Value, Giuseppe Aonzo, was the godmother of the ceremony. It was hosted by the President of Fincantieri, Giampiero Massolo, and the CEO, Giuseppe Bono, and was attended by the Governor of the Liguria Region – Giovanni Toti, the Chief of Staff of the Italian Navy – Admiral Valter Girardelli and a number of civil and religious authorities. It is expected “Spartaco Schergat” to be commissioned in April 2020. After the launching, the fitting activities will be continued in the Integrated naval shipyard of Muggiano (La Spezia). The “Spartaco Schergat” frigate, like the other vessels of the same class by now, will be capable of operating in all tactical situations by involving a high degree of flexibility. The vessel will be able to reach a maximum speed of over 27 knots and will accommodate a 200-person crew. Its length is 144 m with a beam of 19.7 m and a displacement at full load of about 6,700 tonnes. 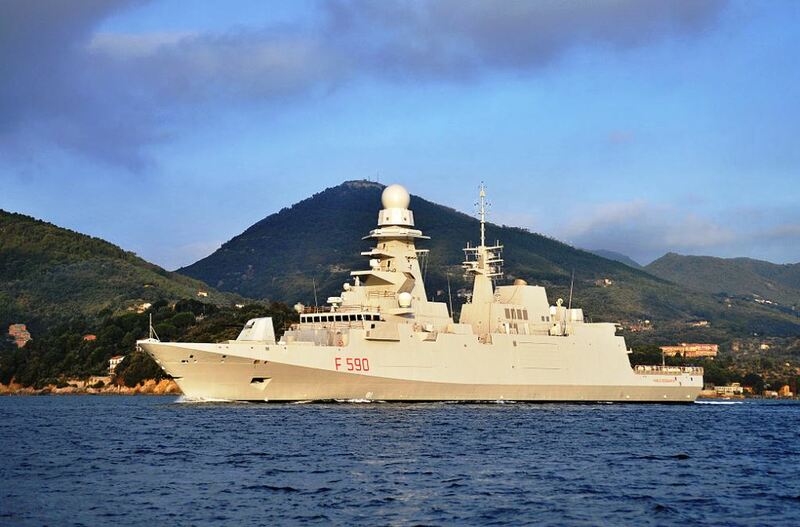 The ten multi-purpose frigates have been commissioned to Fincantieri by the Italian Navy after the Italo-French cooperation program under the coordination of OCCAR (Organisation Conjointe de Cooperation sur l’Armement, the international organization for cooperation on arms). The above cooperation has used the positive experience gained during the implementation of the previous Italo-French program “Orizzonte”, under which the two frigates ”Andrea Doria” and “Caio Duilio” were built for the needs of the Italian Navy.